A design competition is one part of a jam-packed week to send off Melbourne’s inaugural MPavilion. 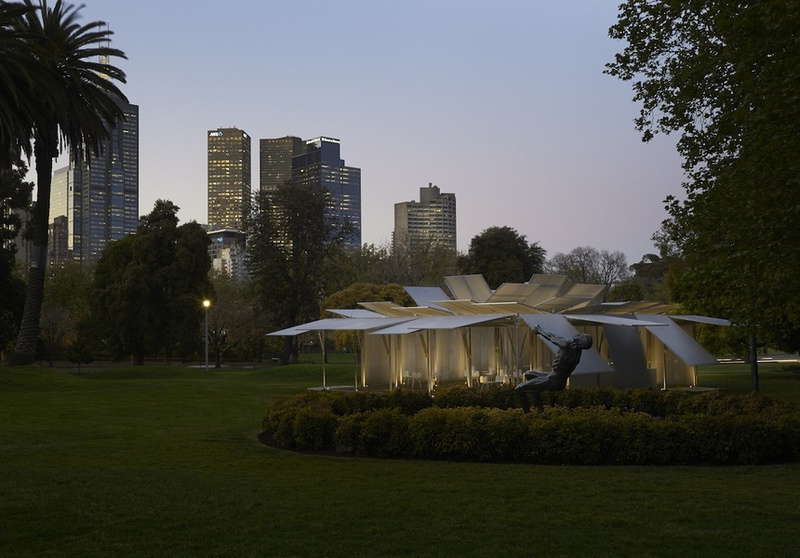 Since first unfurling itself in October last year, MPavilion has hosted gatherings for people interested in design and architecture in Melbourne. Now, four months later, the temporary structure in the Queen Victoria Gardens will swing down its shutters for the last time. To celebrate the final week of Melbourne’s first public design hub of its kind, MPavilion will host a series of free events from January 27 to February 1. The main event will be BLOOM, a live challenge between four design studios: Assemble, Edwards Moore, SIBLING and ARM. 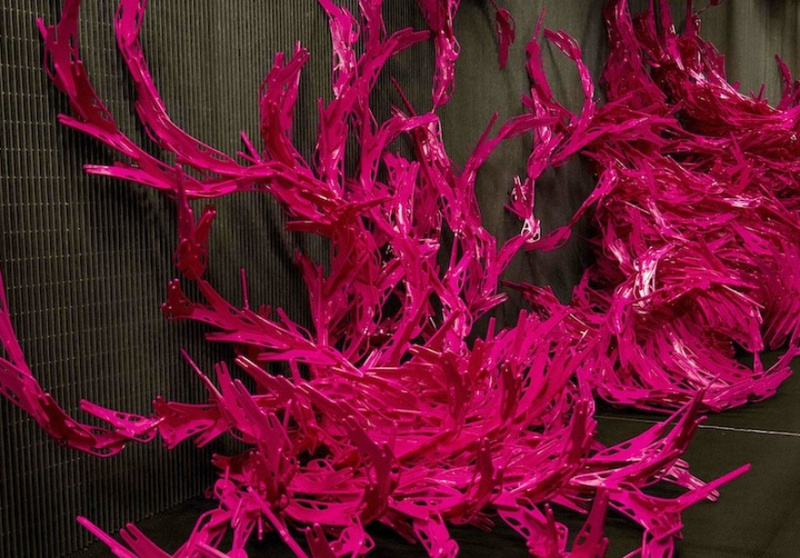 Over a period of three hours they’ll create structures out of hot-pink sculptural blocks called BLOOM. RMIT Design Hub curator Kate Rhodes says the competition won’t be an all-out sculptural war. “It’s going to be a competition in the sense that everyone will be doing something, but there’s not going to be an overall winner. We want the studios to bring their experience as one of the event’s primary ingredients,” she says. The blocks were designed and developed by Alisa Andrasek in conjunction with Jose Sanchez at University College London’s Bartlett School of Architecture for the London 2012 Olympics. 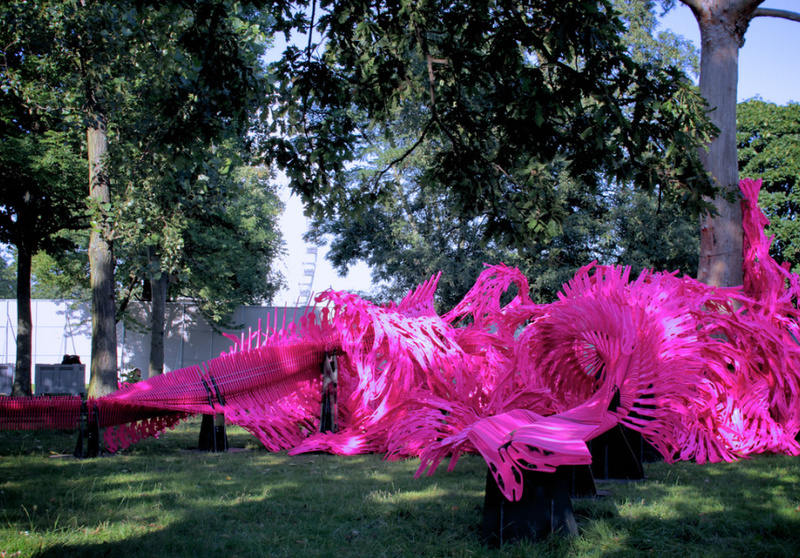 Poking fun at traditional ideas about construction, BLOOM’s first showing invited Londoners to play with the blocks, resulting in structures from benches and mini-playgrounds, to entire canopies of hot-pink. It was brought to the RMIT Design Hub as part of The Future Is Now, the London Design Museum’s current touring exhibition. In a sense, Andrasek and Sanchez’s work is about deconstructing construction – its final form will always be unpredictable. Visitors can chat to the designers after the event, and may be able to assist in the construction over the course of the day. RMIT Design Hub Presents: Bloom Charrette will run from 10am–1pm at the MPavilion on Tuesday January 27.